The large state of New York with its long history may be the home at one time or another of some of your distant relatives. As you examine the family tree, if you locate a few ancestors from New York or even those who lived in a bordering state to New York, you will want to look over the New York Record Archives online site. Especially if those ancestors lived or worked outside New York City, this will be helpful. The birth indexes start with 1881 and go to 1937. Marriage indexes cover 1881 to about 1965. 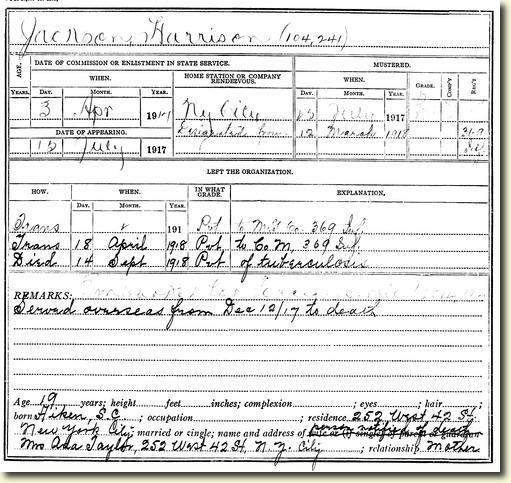 Death indexes start June 1880 and go to about 1965 (fifty years after the death date). Some town such as Albany, Buffalo, and Yonkers, do not have vital records until the beginning of the early 20th century. The online New York Archives also have many other digital documents and records. Military muster rolls (National Guard of NY), maps of property and towns are available, to name a few. To save any digital image double click on the thumbnail image in the left corner, then right click to save to your computer. Not all items are a digital images, many are transcribed indexes with information. 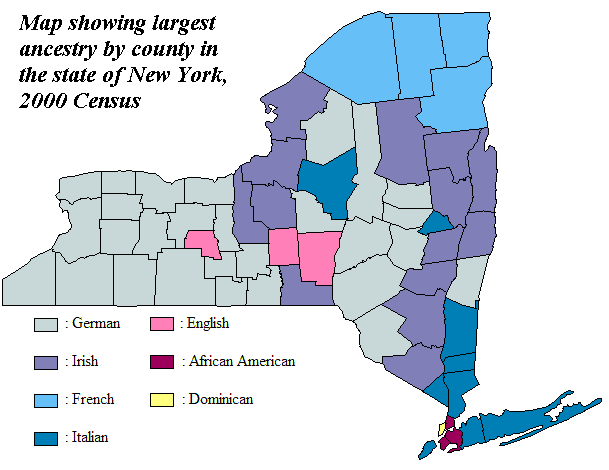 Viewing the map of New York and the counties, you see as of 2000, most residents had a heritage of German, then Irish and next Italian. 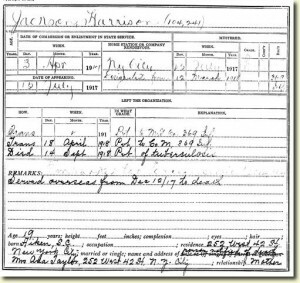 Photos: 1917 Muster Roll Abstract for Harrison Jackson and Heritage Map of New York.